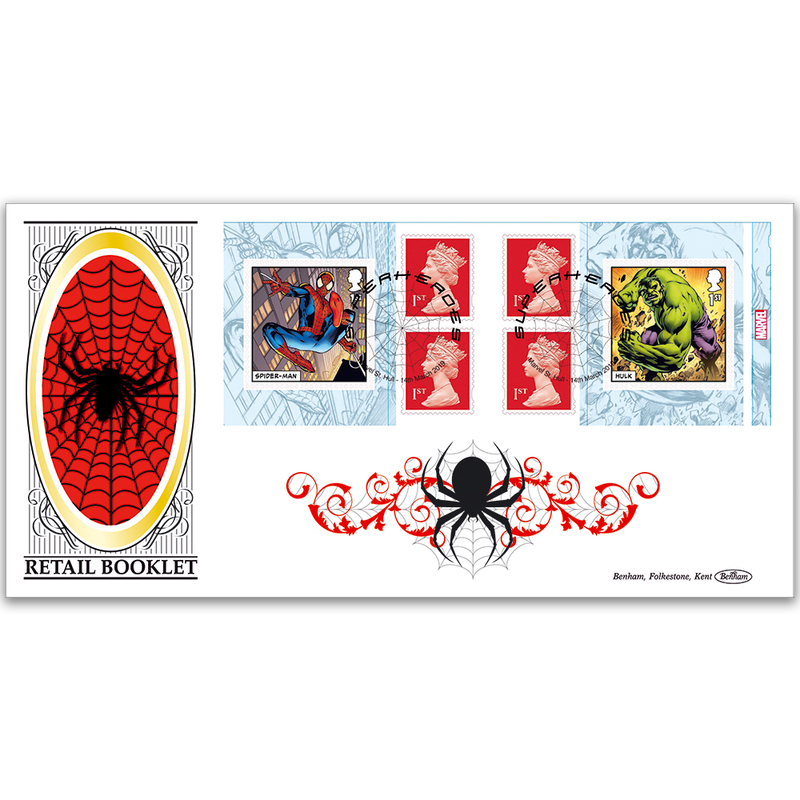 Superheroes have always attracted a loyal following and the two featured in the Retail Booklet are some of the best known. They began to appear 80 years ago - the anniversary of which has inspired this Royal Mail issue. The BLCS 2500 cover takes a spider theme and is complemented with a Marvel Sreet, Hull handstamp.